The Hundredth Monkey . . . . Happy 2012! It seems that we are on the verge of something MAJOR in our world. A big shift, the emergence of a new paradigm, the ‘changing of the guard’ – something is about to happen. So this observation, shared by many others, got me to thinking of an article I wrote a couple of years back about the ‘100th Monkey Effect’. Since we seem to be on the threshold of a very intense example of this effect, reaching the point of ‘critical mass’ when a radical change of form is manifested in a relatively brief span of time, I figured it would be a good time to re-post my old article (slightly edited due to some outdated references). Enjoy! Many people might wonder how in the world I could believe that a bunch of people sitting around visualizing some ethereal, fantastic concepts and lifestyles could ever in a million years have any affect whatsoever on our day-to-day lives. I mean, what possible mechanism could be operating that could take images and feelings in somebody’s mind and translate them into ‘real’ physical changes around the planet? What follows may shed some light on the subject. What we know of as ‘science’ today – the ‘objective’, empirical study of natural phenomena — was created by our distant ancestors to answer a simple question: What is the nature of Nature? Before science, all these questions were answered by a culture’s religion, usually via their spiritual leaders. As humans got more curious (apparently, as nobody is sure what we were like more than, say, 10,000 years ago), and more focused on the material world, and as the left hemisphere of our brains began to dominate our thinking, the intensity of our inquiries into the nature of our world, and the universe, began to increase. Finally in the West (versus the East, which was at least 500 years ahead of us in both science and technology), around the 15th or 16th century, the ruling priests said, in effect, to those seeking deeper and more ‘concrete’ answers to their questions about the workings of the material world, ‘Go forth and investigate, then, and bring back your answers to the people so that we may better understand God’s Great Plan for His humble servants.’ In a nutshell, in our hemisphere at least (leaving the indigenous peoples of the Americas aside, of course), this marked the formal beginning of modern science, and its artificial split from both religious and spiritual disciplines. Renee Descartes (1596 – 1650) was one of the first ‘true scientists’ of the Western Hemisphere, as he was completely analytical in his thinking. He has been dubbed the “Father of Modern Philosophy”, especially in mathematics, geometry and physical science. Descartes was one of the key figures in the Scientific Revolution. He was the first to suggest that the body works like a machine, that it has the material properties of extension and motion, and that it follows the laws of physics; while the mind (or soul), on the other hand, was described as a nonmaterial entity that lacks extension and motion, and does not follow the laws of physics. This philosophy is called dualism. Ever heard of the ‘Cartesian Split’? Yeah, that’s basically it. Descartes wasn’t the first person to use or advocate this concept (see Aristotle, among others), but he was the first to establish it firmly in the Western mind and institutionalize it. In a religious sense, it refers to the separation of body and soul (also see as far back as Paul in the Christian Bible, in his Letter to the Romans 7:25; 8:10). Anyway, this is the point at which, early in its evolution in the West, science became a very cold and dogmatic system of thought – another religion of sorts. Separating the material world from the non-material reality was, by many accounts, the greatest philosophical tragedy that ever befell our world, and one which is only now being hastily rectified. Keeping the above in mind, let’s explore some recent scientific research that points to how apparently unrelated events, energies, and/or mechanisms can have dramatic effects on our world and lives. Have you ever heard of the ‘100th monkey effect’? 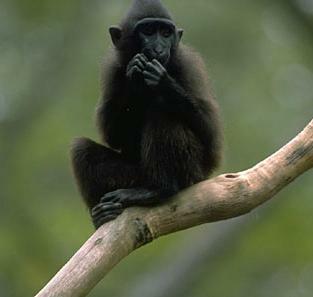 Many years ago, there was a study done on some monkeys living on several islands off the coast of Japan. In a nutshell, it appears that some monkeys on one island learned a new skill having to do with washing food given to them by humans before eating it. After a while, the behavior spread to many more of the monkeys on the same island. Soon most of the monkeys were washing the food the people were giving them. Then something weird happened. All of a sudden, monkeys on the other islands started washing their gifted food before eating it, apparently with no previous physical or audible contact with the ‘food-washing’ monkeys on the first island. Cool, huh? More recently, a man named Rupert Sheldrake came up with the idea of ‘morphogenic fields’ to try to explain this and other similar phenomenon. Sheldrake proposes that there is a field within and around living beings which organizes its characteristic structure and pattern of activity. This ‘morphic field’ resonates on a non-physical frequency, and can be ‘picked up’ by other entities. According to Sheldrake, the theory of morphic fields might provide an explanation for Carl Jung’s seminal concept of the ‘collective unconscious’ as well. Also, Sheldrake agrees that the concept of Akashic Records can be related to morphic fields, as a group of similar or related mental forms also have their associated (collective) morphic field. Maybe now you can see where I’m going with this . 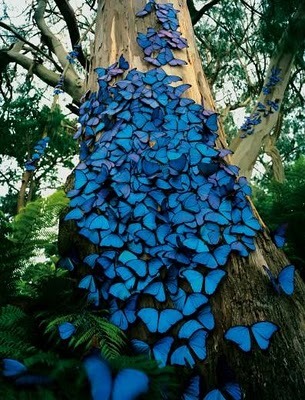 . . . .
Have you seen the movie ‘The Butterfly Effect’? I loved it. It’s a bit exaggerated and melodramatic, but remains both fascinating and believable. Anyway, the phenomenon by that name is based on the method of mathematical modeling by a meteorologist (ie., ‘hard’ scientist) named Lorenz back in the 60’s. He found that by changing a number by only a tiny percentage, for example wind speed in a rainforest in Indonesia, a major ‘ripple effect’ occurred that could, quite literally, radically change the weather patterns thousands of miles away. The mathematical alteration to manifest the radical change was later compared to the single beat of wings by a single creature. In other words, a single flap of a butterfly’s wings in the Indonesian rainforest could create tiny changes in the atmosphere that could ultimately delay, accelerate or even prevent the occurrence of a tornado in Texas. Pretty powerful stuff! There’s a lot more to this, of course – but I’ve run out of space. To summarize: ‘True’ science must do two things in my mind. First, it must take into account ALL observable phenomena, without pre-judging or, as with most scientists over the last four centuries, dismissing out of hand many facts and events that do not ‘fit’ into the current (and never complete) dogmatic belief system. Second, it must attempt to explain or at least describe these phenomena, without prejudice, utilizing whatever explanation seems to work best, regardless of the ‘radical’ assumptions it may necessitate (like the existence of as-yet-undiscovered energies or frequencies, for example). The new field sometimes called ‘spiritual science’ or ‘spiritual technology’ (using energies and methods that cannot yet be detected by modern technology’s supposedly sophisticated machines) utilizes the classic scientific method as much as they can, but with a much more open mindset than traditional, rigidly materialistic schools. The revolutionary concepts of the more expansive visionaries of the 20th century, plus the discoveries of modern physics sometimes called the ‘new science’, combined with the broad-minded insights of ‘spiritual science’, is what the daily meditation exercise I personally engage in – and which is becoming increasingly popular — is based on. If we can create a constructive ‘ripple effect’ of positive vibes, inject some holistic, sustainable, and intelligent ideas more deeply into the ‘collective unconscious’ and the ethereal ‘energy grids’ that surround and affect our planet, and avoid the more devastating physical and cultural storms in our world by flapping our mental, emotional and spiritual ‘wings’ in unison, maybe we can lessen or even stop much of the suffering going on right now, and usher this planet into the new golden age of Love and Light a little more quickly. Hey, it’s worth a shot, and there’s nothing to lose but a few negative, disharmonious thoughts. Besides, it’s excellent personal therapy! Give it a try – for all of our sakes.